Merry Christmas to All – Hope You Have a Cozy Day! I hope ALL of you and your loved ones have a wonderful Christmas. This is the time of year where all of us seem to be a little kinder and more patient with others. May this Christmas feeling stay fast and hold with us until this same time next year. Danna. Merry Christmas and a Happy and Healthy 2014 to you, your family and all the cozy mystery readers. Hope you and family have a wonderful Christmas. Mine is going to be nice and quiet this year. I plan to take it easy by watching the yule Log on tv and working my word searches all day. I set a goal for me for next year. I plan to have all my books done by this time next year if I am still here???? Alfred, I hope your Christmas was as restful as you wanted it to be. As for your goal, what’s the rush? Danna Merry Christmas. My family is not coming until Sat. Dad is sleeping, not sleeping last night and Mom is cleaning a little, I am watching Scooby Doo Where Are You, Season 1 and 2 while working on booklist. For Christmas Mom is giving money and a trip to the Barnes and Noble store in Jackson, MS. My Books-a-Million was damaged by a tornado on Sat Night and is out for the next couple weeks. Ginger, your Christmas sounds as relaxing as Alfred’s! That’s really a shame about your bookstore being damaged by a tornado. I hope you have a great time book-shopping in Jackson. with Annie’s marriage to Ian and her daughter moving near Annie’s Stony Point town! the marriage and her daughter and twin grandchildren. Would love to live in that town! Patricia M, I don’t imagine that Annie’s Attic is going to continue, but I do know the company is now releasing the Creative Woman Mysteries. I hope your Christmas was Merry also, Lee Ann. Merry Christmas to you, Danna. Hope you and your family have a blessed day. And Merry Christmas to my fellow cozy readers, too! Laurel, thank you for the Christmas wishes. Merry Christmas to everyone on this list, and to their loved ones, too! Susan*, I mentioned in one of my previous comments that I was hoping to finish the Christmas Cozy Mystery I have been reading. Although I didn’t finish last night, I’m hoping to finish it today so I can start my last planned Christmas Cozy for the year. Marcy, Merry Christmas, and hope you are enjoying a favorite Christmas Cozy Mystery. 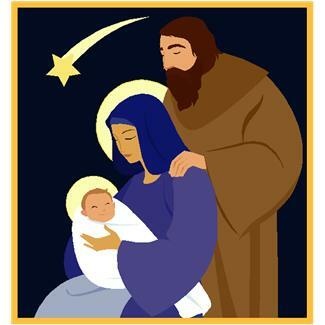 Danna: Amen to your prayer for Christmas and a blessed and Happy New 2014 to all of us. Danna, I hope you and your family had a wonderful Christmas and Have a great New Year. Thank – You for all you do to bring us books and authors that we might not give a chance to. I know I have found some authors that are now favorites. Suzanne M, and I hope you had a wonderful Christmas, also. I’m glad you’ve been able to find some new authors who you enjoy reading. With all of the Cozy Mystery readers’ recommendations, so have I.
Donna, and thanks to all of you authors who make reading such a treat for the rest of us! Thanks for making my reading choices for 2013 so easy. And wishes to you and all for a wonderful New Year! You’re welcome, David. Best wishes for the New Year to you also!